The La Place Motel is only 11 miles from the New Orleans Intl. Airport. LaPlace Motel provides comfortable, affordable lodging in the greater New Orleans area. Available room types include 1 or 2 bed Studio's and Suites. Rooms feature 32" Flat Screen Televisions with cable, air conditioning, WIFI, housekeeping and free local calls. The LaPlace Motel is located in St. John the Baptist Parish, Louisiana, along the East bank of the Mississippi River in the New Orleans metropolitan area. We are just minutes from the following cities of Vacherie, Gramercy, Lutcher, Donaldsonville and the Louis Armstrong New Orleans International Airport. We are only minutes from local business of Valero, Norco and Shell-Motiva. 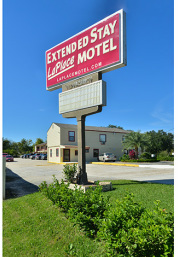 We look forward to your stay with us at LaPlace Motel. 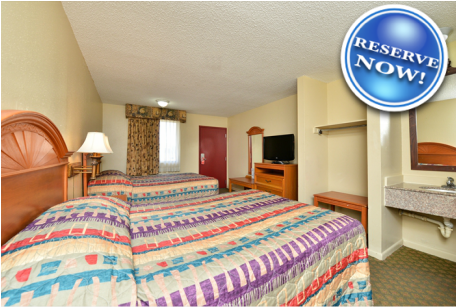 Our rooms offer a full size refrigerator, microwave and stove for our extended stay guests. We also offer 32" Flat Screen TV's, FREE Wifi and kitchenette's are offered in some double bed rooms. We look forward to your stay with us. La Place Motel is only 10 minutes from the following cities.